Isabella's Cookies for EVERY Mother! 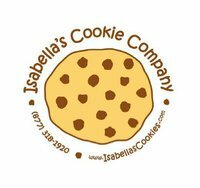 I am so excited to bring one of my favorite cookie companies back for my Mother's Day Gift Guide - Isabella's Cookie Company! (see my Valentine's day review of Isabella's Cookie Co. here). Their cookies are so SOFT and the sweetness is just perfect! Best of all, I can feel pretty good eating them because they NEVER contain artificial ingredients or preservatives! They are always handmade and fresh so they always taste A-MAZING! My favorite cookie (By Far!) is the Sugar Rush Cookies! These have never let me down for being absolutely DELICIOUS and so sugary and sweet! I love that they change the shape of these Sugar Rush Cookies 7 months out of the year to coordinate with holidays or seasons! For Mother's Day and Spring, they have made Blooming Blossom Sugar Rush cookies and they are TO DIE FOR! 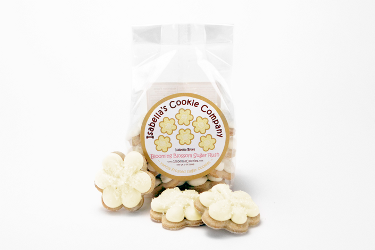 If you are cookie lover, you have to got to check out Isabella's Cookie Company selection. They really have a cookie for every taste bud - whether you like sweets, fruits, chocolate, and they even have vegan selections! Hurry over and make a mother VERY HAPPY this Mother's Day!! 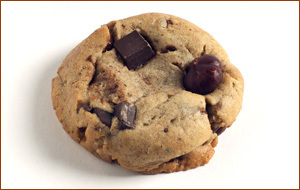 Buy It: You can purchase all scrumptious Isabella's Cookie Company cookies from their website.